Trish jumped into the racing world in 2009 by taking on the Escape from Alcatraz as her very first race. Over the last 8 years she has used the triathlon and running world as a way to rise above many difficult life obstacles. She has gone from finishing in very last place at her first race to now placing in her age division and qualifying for Boston. 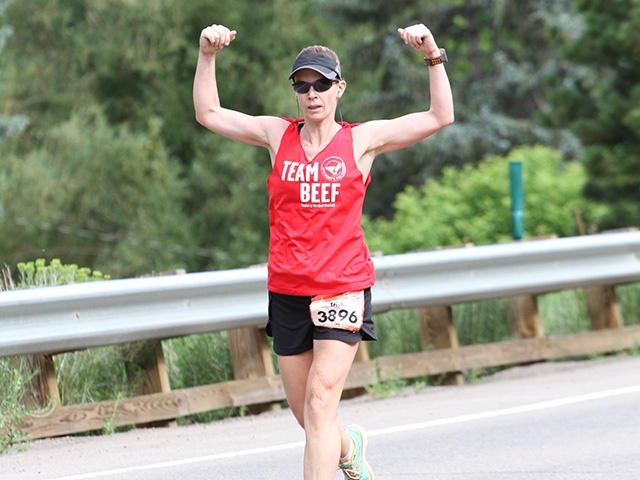 Trish's racing also includes ultras, trail, relaying and many different challenge events. REVEL Rockies is her absolute favorite course as not only is she a native to Colorado but Squaw Mountain was her healing place before, during and after the loss of her father to cancer. She is grateful for what the racing world has given her and loves sharing it with others. How else Trish REVELs: Traveling, exploring and looking for an adventure! She loves to bike, hike, swim, or anything outdoors. She also loves a challenge!